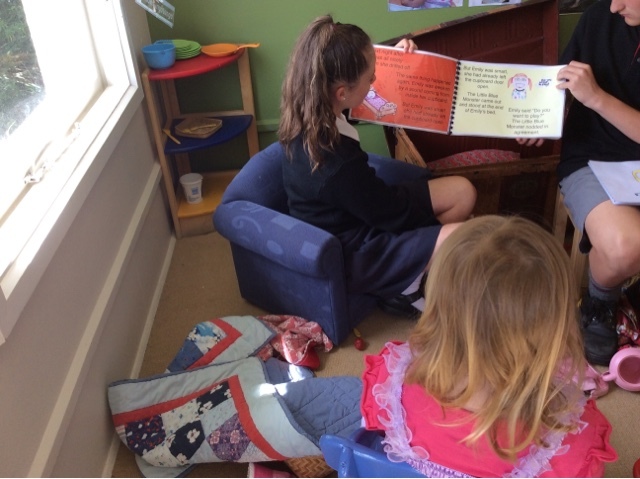 We were very lucky to have a group of talented Year 8 writers from Geraldine High come and read to us this morning the books that they had creatively written . Some of the stories were very funny and we laughed and laughed which was very encouraging for these young authors . This is great , he rawe tēnā! The books had also been illustrated by the students and were just ideal for keeping us engaged . We then enjoyed having our special new friends stay and play for a short time before they headed back What an awesome morning ! We hope they come back and visit us again soon ! 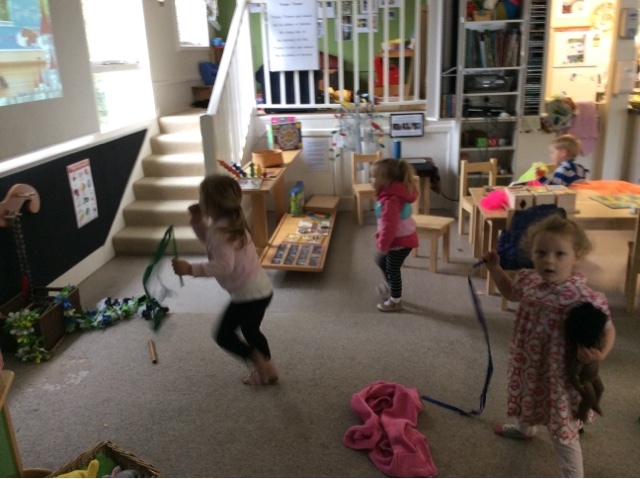 This afternoon the children wanted to dance to some music so we decided to put Jump jam a physical activity/dance we use with our morning children on to explore. 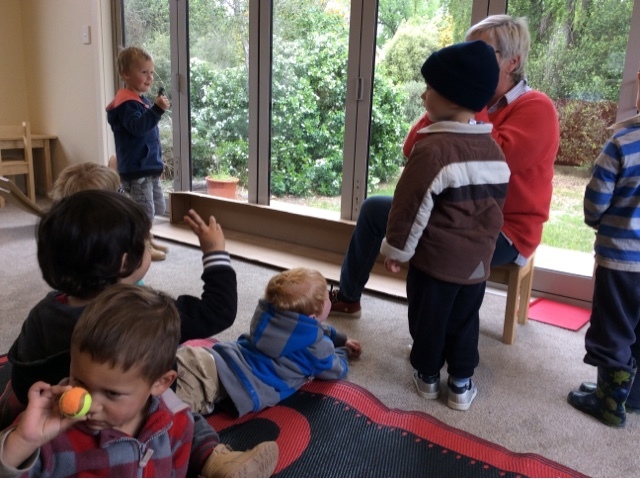 Our afternooon children started off by watching with curiosity as the small jump jam routine played, and as they developed understanding of how it worked they began to join in. 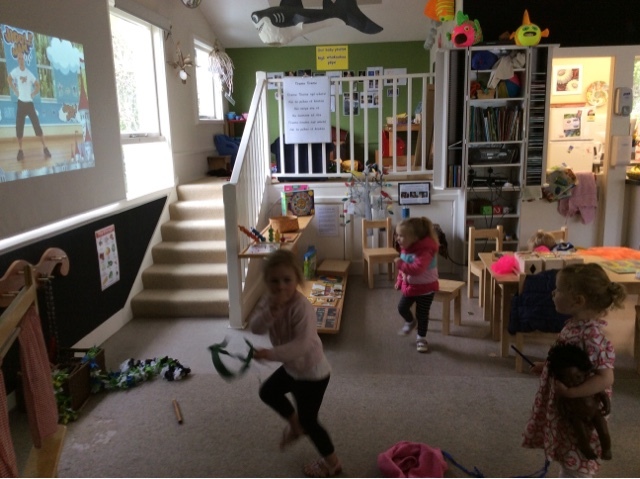 During the afternoon we continued to play the same song as we felt the repetition of one routine would help them to develop the confidence to take a risk and give the moves a go. The children were very creative and got the ukelele to play when the jump jam man pretended to play his guitar. That’s good thinking, he pai koe ki te whakaaro pena. 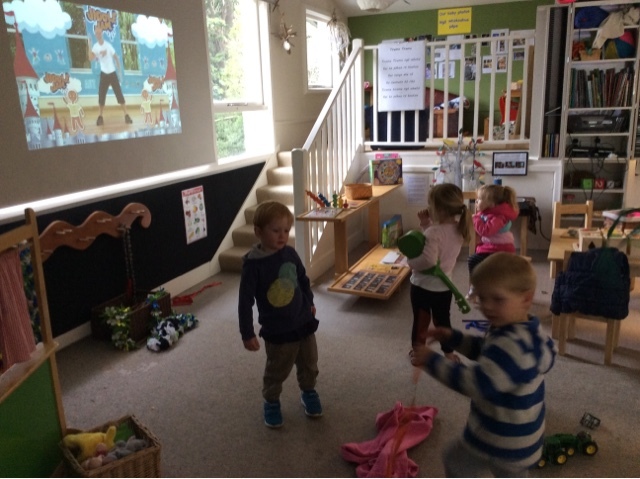 All the children enjoyed spending time watching the small clip as they strived for accuracy each time they gave the moves ago. We are lucky to have a selection of toy vehicles around the kindergarten that children enjoy using in their play. These cars are provided in different ways often including ramps, roading mats and pipes for the children use to enhace their play. 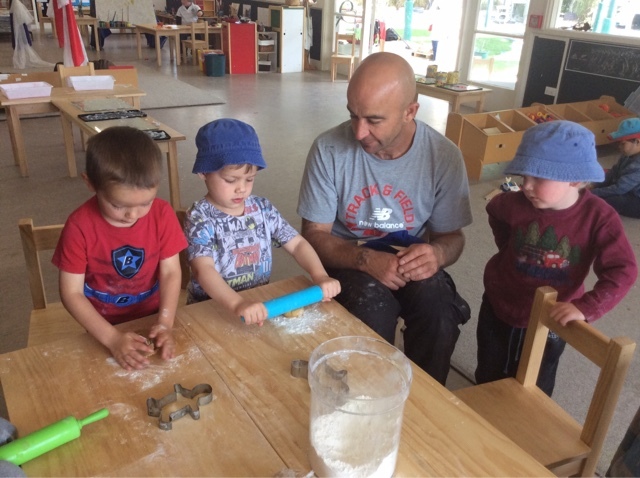 However one place that children always take vehicles to is the dough table, as you can see Zac and Thomas using tractos and at the dough table in the photos. 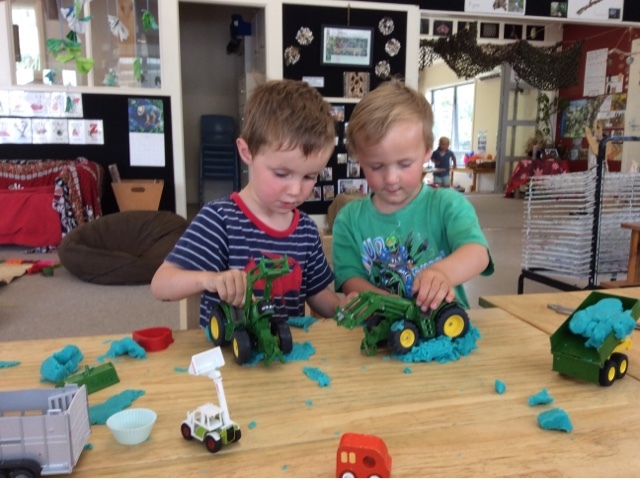 It was exciting observing and listening to Thomas and Zac in their pay today, using the buckets on the tractos to pick up, transport and then dump the dough. This was put into specific places, either a designated area or into the trailers that were parked in a very particlar way. The sounds that the boys were making indicated that the tractors were working hard, beeping as they reversed and louder sounds were heard as they drove over piles of dough. After driving over the dough there were tread marks left behind which caught Zac's interest. 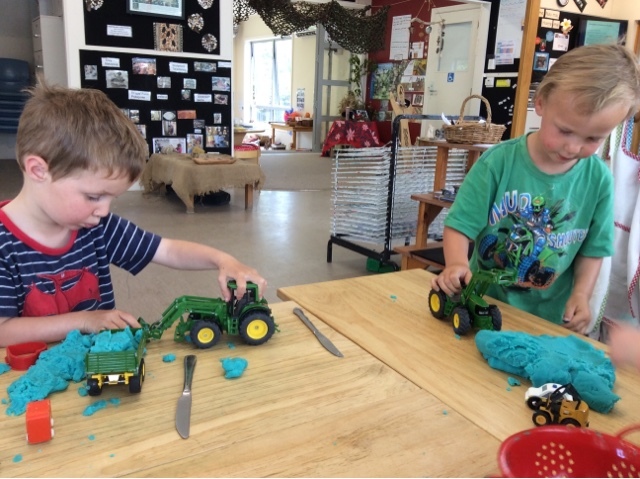 He got Thomas's attention and together they tracked the small lines with their fingers along the dough before creating more tracks with the tractors! 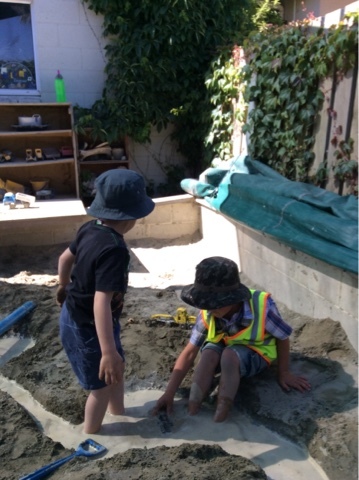 This morning a group of children were involved in play in the sandpit over a long period of time. 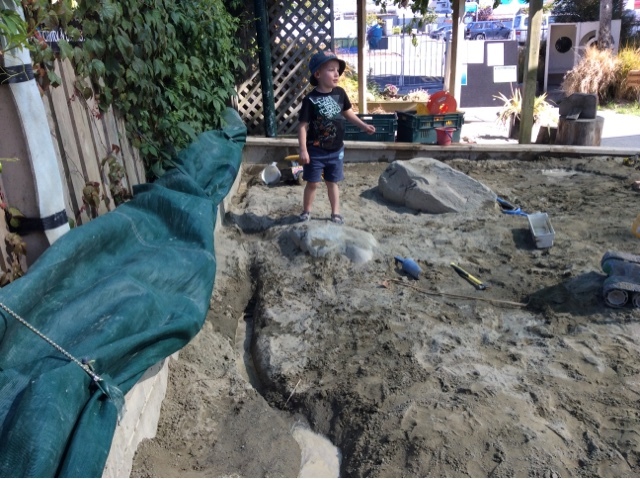 Together a group of boys begun by making streams that went around the area of the sandpit, working together to create the depth of the streams before filling them with water. Naturally others became interested in the play that was happening and starting to drive their vehicles alongside or through the stream. There was clearly a lot of manaakitanga/care and respect evident as the group who origionally made the streams suggested that they make some bridges to allow their peers to drive their vehicles over the stream! He pai koe ki te whakaaro pena - Thats good thinking. As we observed the group of children enjoying play with the stream Mitchell sang Row, Row, Row Your Boat while pushing a small piece of wood along the water. While Tom used a shell that he let go and sunk so he shared with us all that it was a "sinking shell boat". 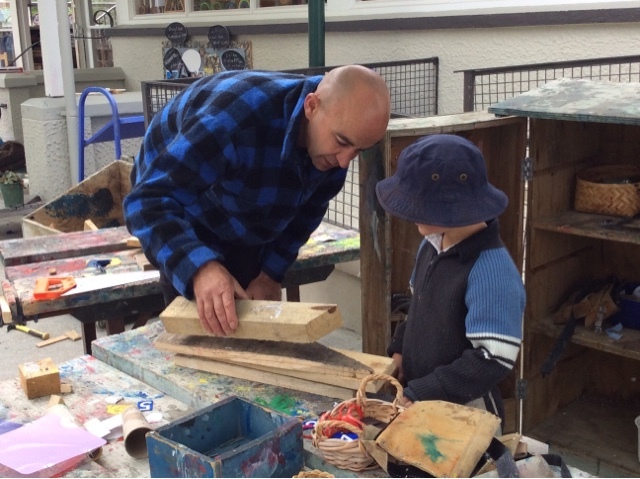 We know that children don't always need toys to influence or enhance their play. 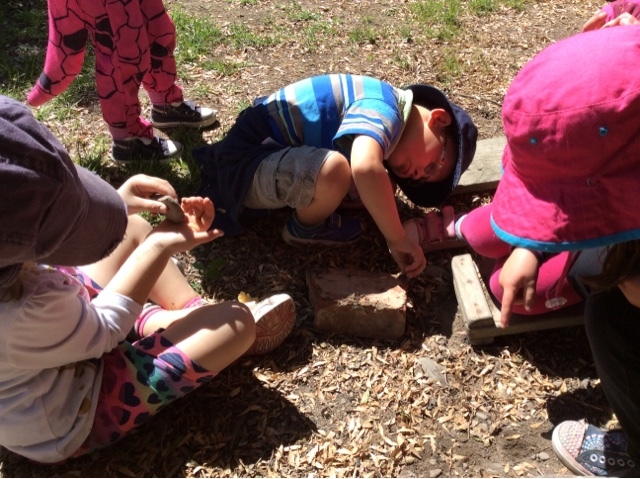 Just as we saw today imagination can be used when using natural resources in play, often using them in flexible ways to suit ideas of play at the time. This morning some of the children began exploring our out the back area, and it wasn't long before they discovered an 'ant farm'. 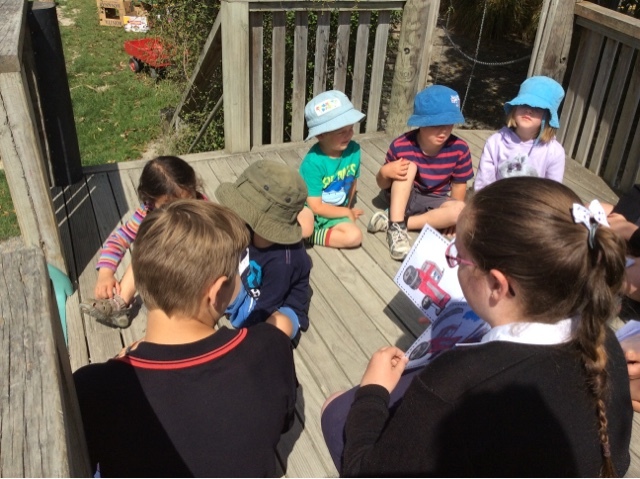 The children showed fantastic manaakitanga/ care and respect as they carefully explored the different areas the ants were crawling. 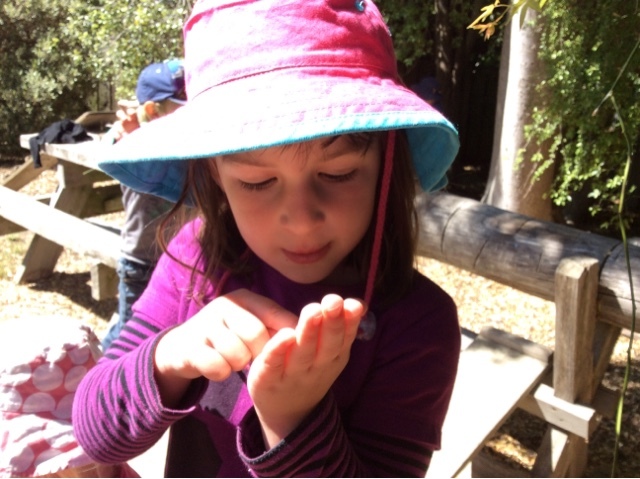 As they explored they clearly articulated some of their ideas about bugs and ants. "It's ticklish" Pippa laughed as it wriggled on her hand. As they explored Sandra asked the children where they thought ants might live? "Maybe in a little castle" was one of the suggestions made. "I think they live in leaves because they like eating leaves" Jessica added. That’s good thinking, he pai koe ki te whakaaro pena. This morning we could hear cheeping coming for Brownie and Silkies hutch! 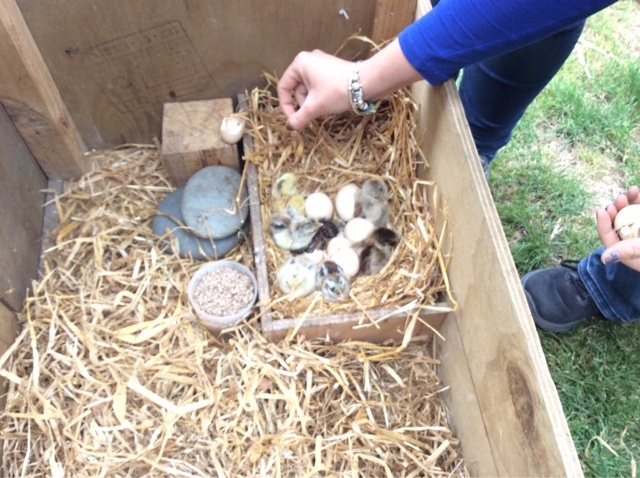 Sure enough, two chicks had been hatched and by the end of the day there were eight! Brownie was a bit reluctant to let us have a look but the children were very quite and showed wonderment and awe as we carefully peeped under her. 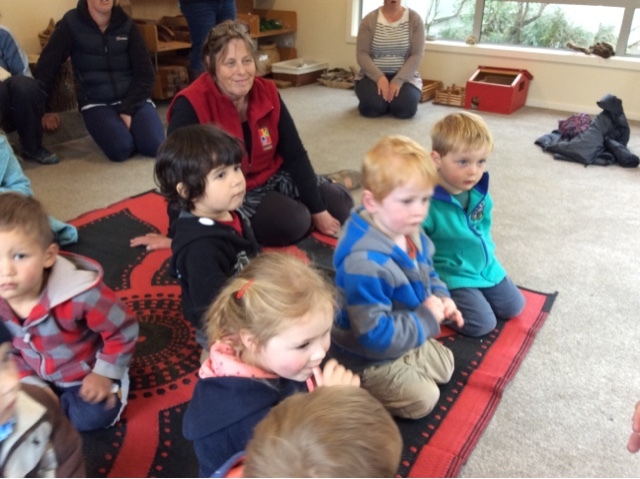 This experience will help develop manaakitanga/ care and respect as we help Brownie to nuture and care for her chicks. The children will help take responsibility for making sure the hutch is clean and that there is enough food and water for all, especially while the chicks are growing. He pai to awhina. Its good to help. They will be very hungry. 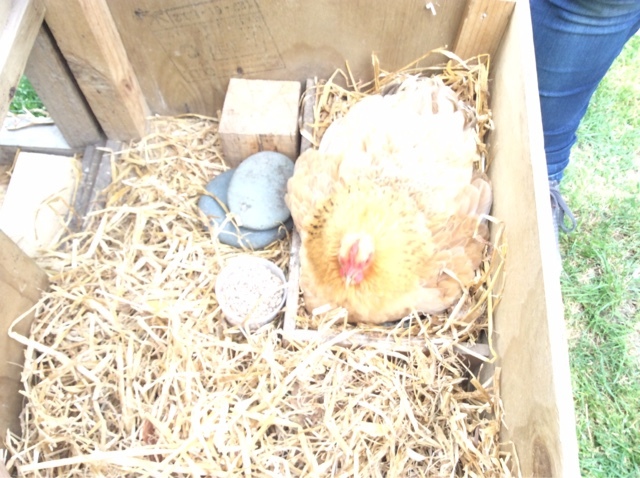 We can't wait until tomorrow to see if the rest of the eggs have hatched. 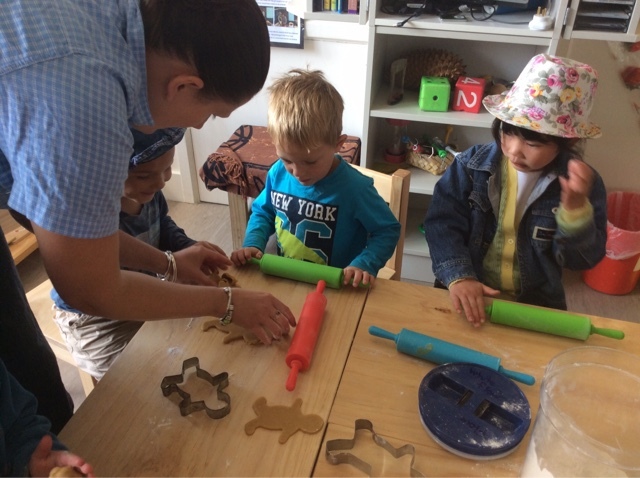 Children often have a plan in mind and yesterday baking was requested, specifically baking gingerbread. So on checkeing the ingredients we realised we couldn't make gingerbread but we could however make a chocolate cake. That was well received and everyone got busy baking a delicious cake to share after lunch. 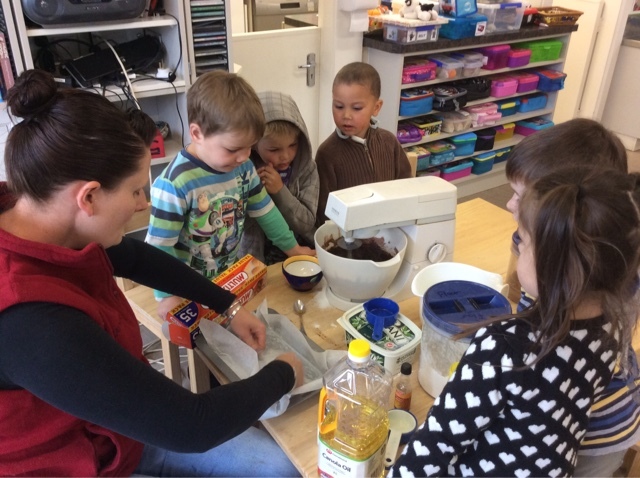 There was much humour, wonderment and excitment as we watched the cake mixer whizz around. However the gingerbread man idea wasn't forgotten and today we had fun working together/mahi tahi to create forty gingerbread men! The tamariki managed their impulsivity as they waited for a turn with rollers and cutters. They learned about striving for accuray to roll the dough to the correct thickness. Too thick and we would have run out of dough, too thin and heads and arms fell off when we picked up the gingerbread men! Tomorrow we will ice them and decorate them with some raisins for buttons on their tummies. A tasty treat for morning tea. Ka rawe,	how lovely. The Afternoon children enjoy coming together at the end of the session for some fun and laughter. Finding humour is a wonderful Habit of Mind to devlop and active group games can be the perfect way to foster this habit. 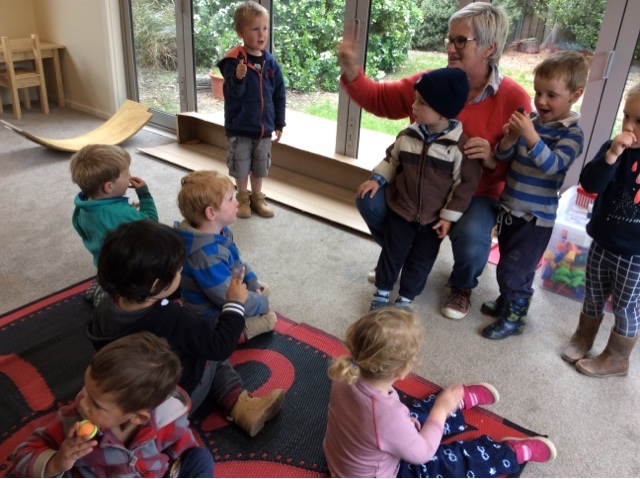 On this day, Gael had her monkey finger pupperts and the tamariki used their counting skills to count down the monkeys as the crocodile snapped them up! 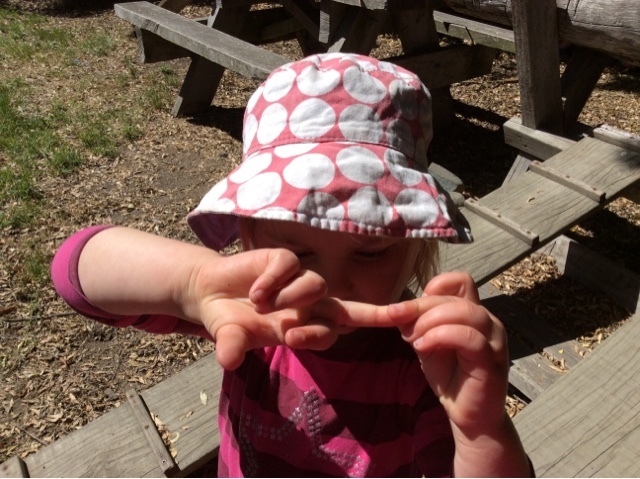 Concentration was needed to figure out how many fingers to hold up as each monkey disappeared. Managing our impulsivity while waiting for a turn is quite tricky, when there is so much excitement happening! 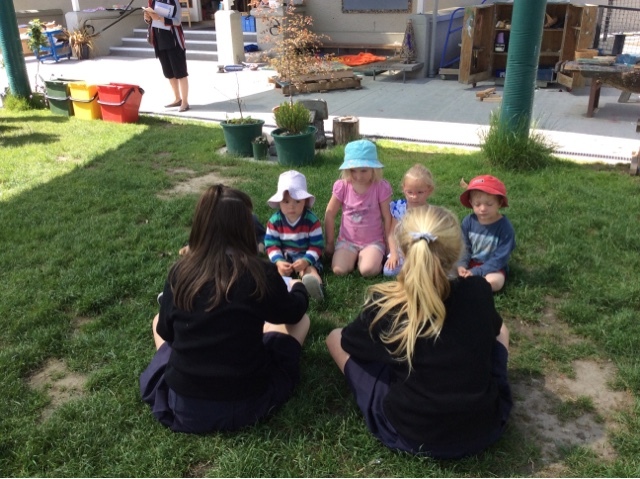 Turn taking is a great skill to practise in a group situation. This is great, he rawe tēnā! 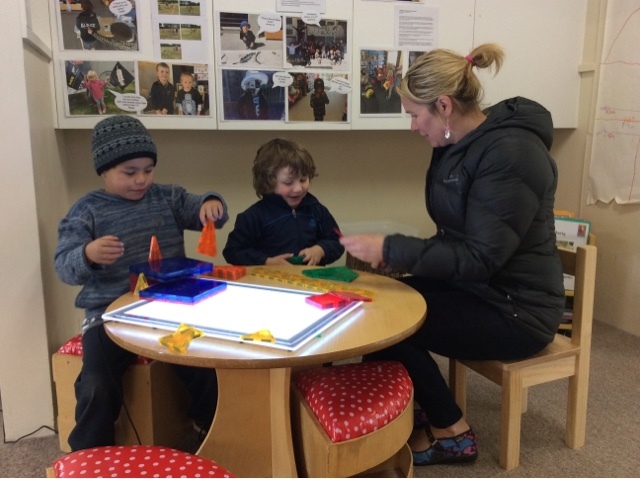 We are incredibly lucky to have Tash and Ben involved in our kindergarten on a regular basis as volunteers and as Early Childhood Students in training . Today Tash and Ben joined Tracey and Louise as "untrained teachers" because a bug has hit the kindergarten with force ,taking with it some of the teaching team and lots of children .
" Where are all the teachers ?" one child asked observantly. Tash and Ben's strengths in creating strong relationships with children , being responsive to their interests , supporting challenges and being a lot of fun to work with , has ensured our day has been seamless. Thanks also to Gael who has helped out with relieving over the week . Kia ora mo tou awhina.Thank you for helping!